ERS – the UK’s largest specialist motor insurer – has consolidated its commitment to Swansea by creating even more quality jobs in the city, with its workforce topping the 500 mark for the first time. 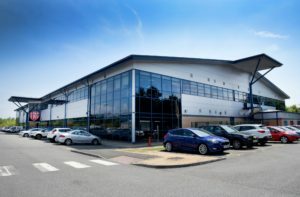 The expansion of the company’s Swansea operations represents part of a strategic decision by the London-headquartered company to invest in its Swansea hub, relocating a number of roles to the Welsh city from London and closing its Brentwood office altogether. In anticipation of its growth, in 2015 ERS moved into a new 33,000 sq ft premises in Crucible Park, Swansea Vale. Since that time the company has tripled its size in Swansea. 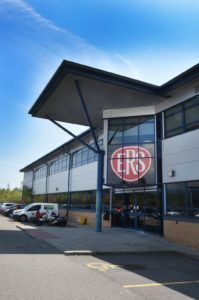 ERS now employs just over 500 people in Swansea. It has added 38 employees to its workforce so far this year, on top of the 164 roles it filled in 2018. The company’s expansion brought many skilled and technical roles previously seldom found within financial services in South Wales. ERS offers a comprehensive training programme to all new employees and strives to promote from within where possible giving real career development opportunities to its many loyal and talented employees. Over the past 18 months, ERS has filled roles in underwriting, claims, project managers, business analysts, and system testers as well as in niche specialisms such as technical IT, counter fraud, personal injury, risk, governance and compliance. Within the insurance sector, many of these positions have traditionally only been available in London. The company’s commitment to Swansea has been warmly welcomed, especially in light of other large employers such as Virgin Media scaling down their operations in the area, with plans to close its Swansea call centre by the middle of this year with the loss of 800 jobs. “The growth we have experienced in Swansea over the past few years has been phenomenal and a significant boost for the company and the city. It is also fantastic that we have been able to create many more skilled jobs in the city, including basing technical underwriters here for the first time.